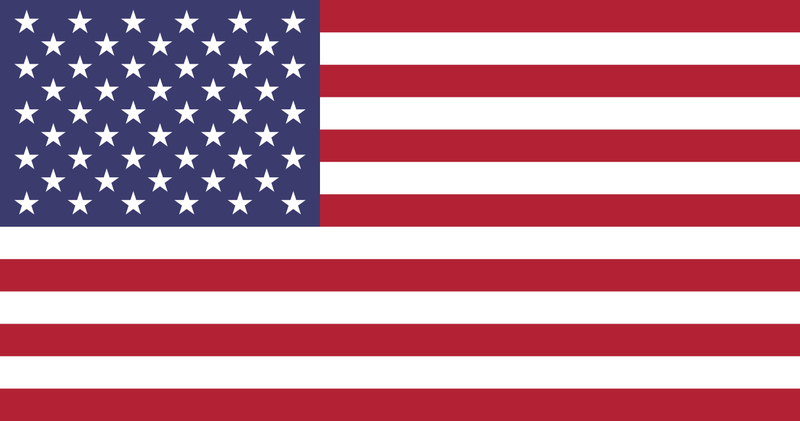 We proudly offer a Veteran/Military Discount Program. Please email support@phytologica.com to submit credentials to receive the discount code. 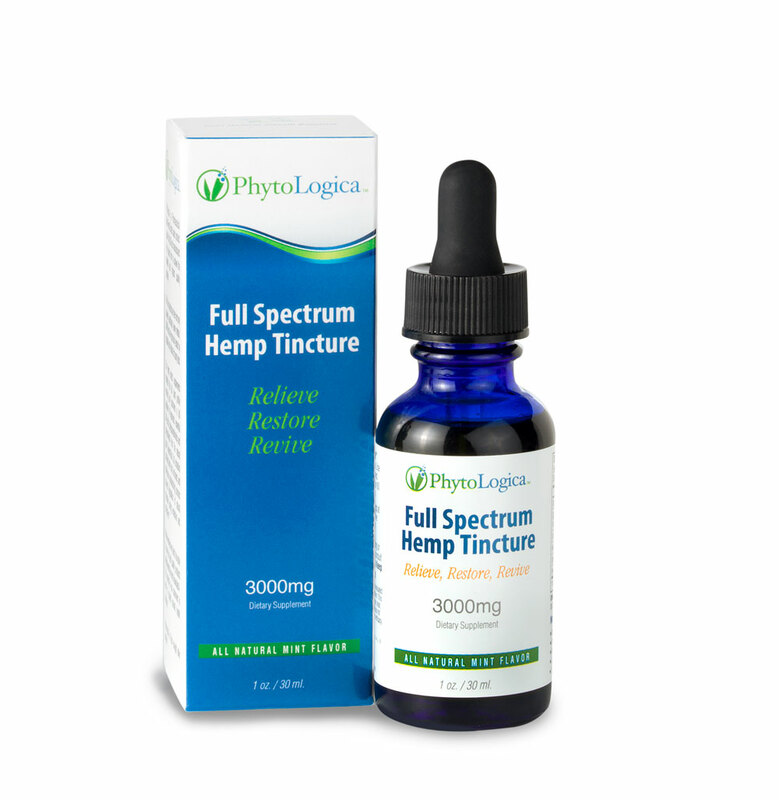 Our Phytocannabinoid Hemp Extract SoftGels are created with patent pending water-soluble liquid containing a full spectrum plant profile of phytocannabinoids and over 40 naturally present terpenes. Our SoftGels contain 10 mg or 25 mg of Cannabidiol (CBD) per dose and are designed for maximum absorption and optimum bioavailability. Our SoftGels are the first of their kind on the market with a full spectrum plant profile, zero THC and over 95% CBD. Our patent-pending water-soluble formulation is a nano-particulate delivery system of micro-emulsions. The emulsion droplets range from 10-100 nm in size (1 nanometer = 1/1,000,000 millimeter), maximizing the surface area absorption into the bloodstream. 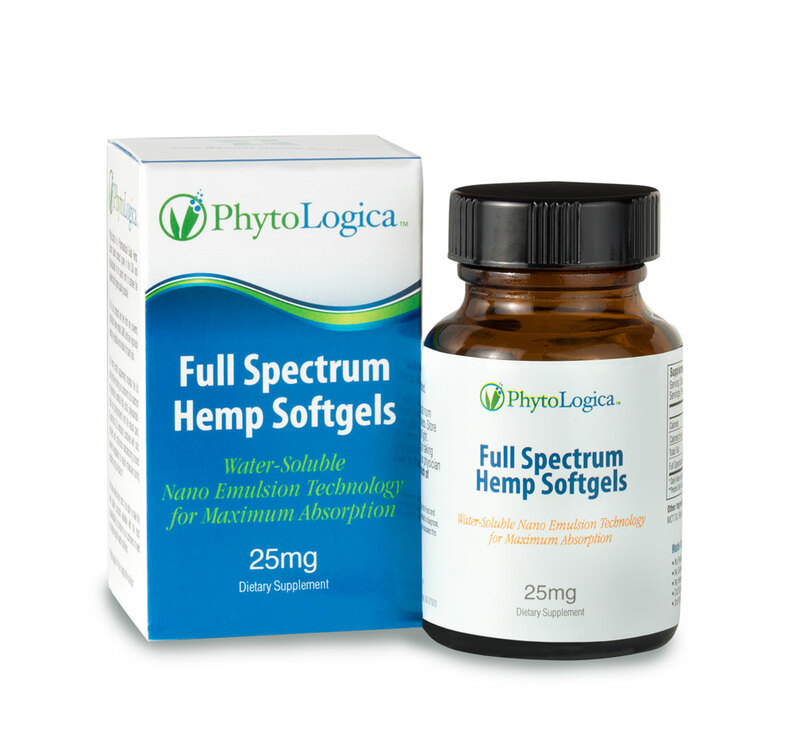 The resulting bioavailability is approximately 400% higher than phytocannabinoids delivered in oil (traditional softgels or capsules), leading to enhanced biological response. 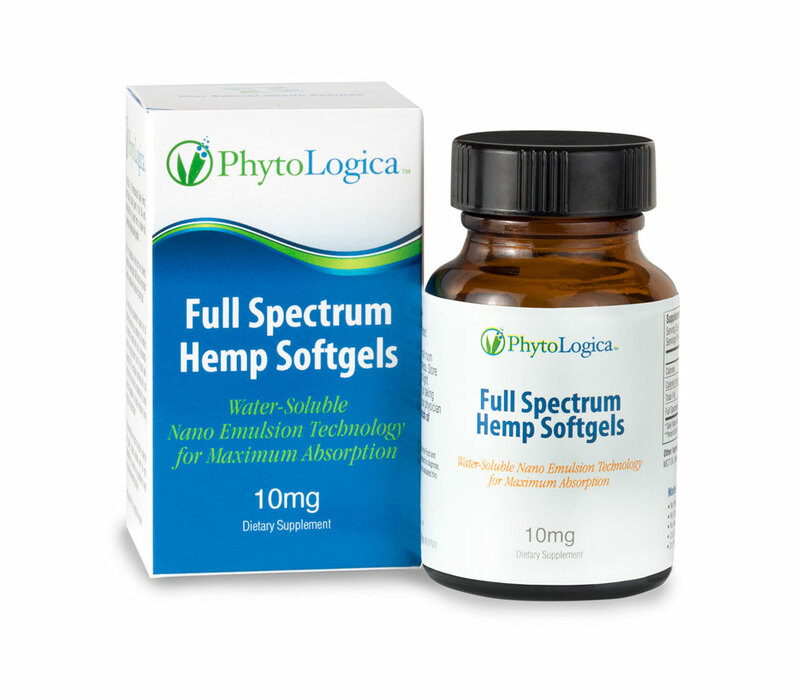 Each PhytoLogica™ Soft Gel Hemp Extract Capsule contains 10mg or 25mg of full spectrum profile of CBD and all synergistic terpenes that are naturally present within the industrial hemp plant. Each bottle contains 30 “Body Ready” 10mg or 25mg PhytoLogica SoftGels. *Results may vary on each individual. **These statements have not been evaluated by the Food & Drug Administration. This product is not intended to diagnose, treat, cure or prevent any disease. FDA has not evaluated this product for safety or efficacy. Our Phytocannabinoid Hemp Extract Tincture products are created with hemp seed oil and grape seed oil and infused with our Pure Hemp Extract. They contain over 80% CBD and zero THC (no psychoactive effects) compared to most competitors which contain only 17-40% CBD in their products. 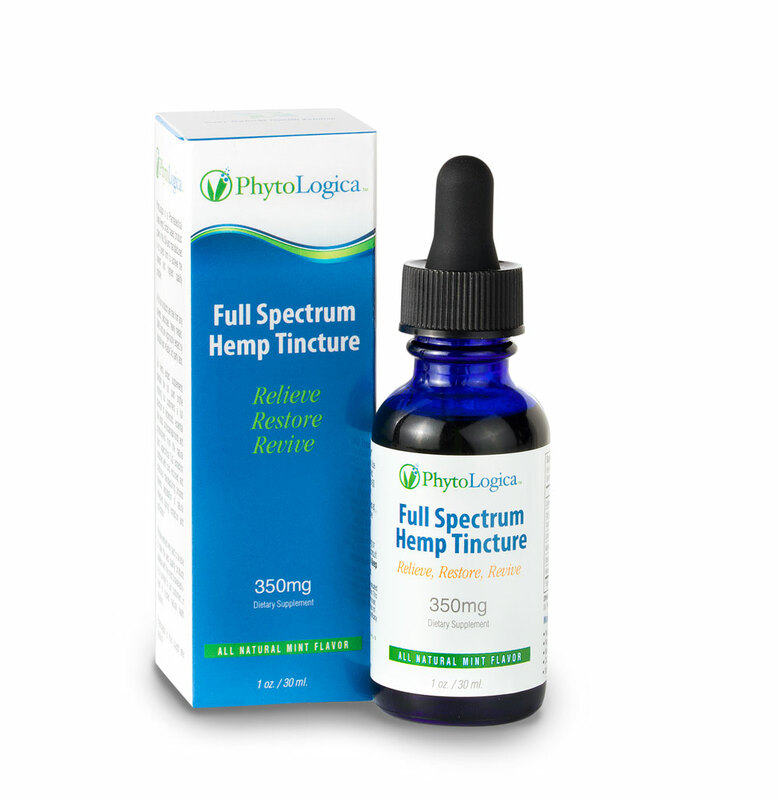 All PhytoLogica products are made in a GMP* compliant state of the art facility in the USA.Ingredients: Grape Seed Oil, Hemp Seed Oil, Peppermint Oil, Phytocannabinoid Hemp Extract (CBD), Stevia.This product is natural, refreshing Peppermint flavor. *GMP, or Good Manufacturing Practice is a system for ensuring that products are consistently produced and controlled according to quality standards. ** These statements have not been evaluated by the Food & Drug Administration. This product is not intended to diagnose, treat, cure or prevent any disease. FDA has not evaluated this product for safety or efficacy. This is a very potent Phytocannabinoid Hemp Extract Balm created with beeswax and coconut oil and contains 500mg (CBD) of phytocannabinoids. Other companies put only trace amounts of phytocannabinoids into their balm products. Not us. 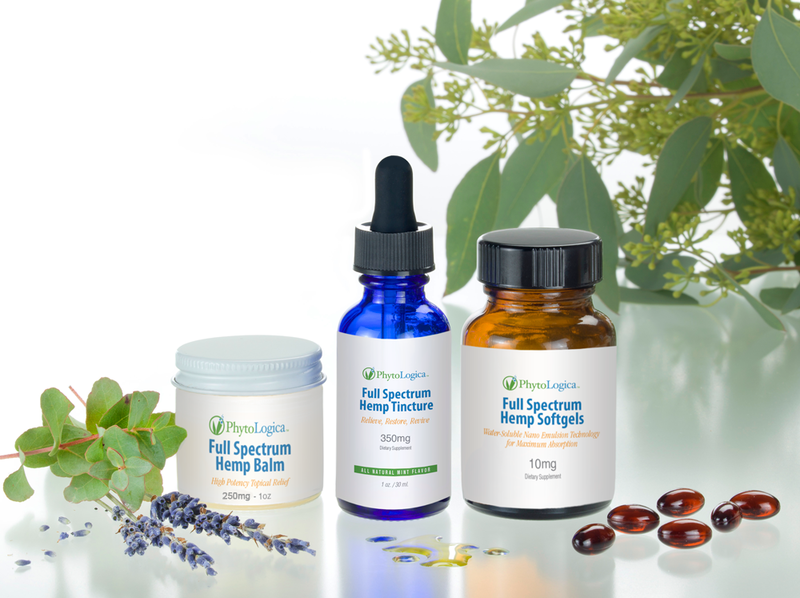 We create Hemp products that work and with 500mg of phytocannabinoids in 1 oz of our balm, you can bet you are getting one of the strongest Hemp balm products in marketplace today. Save money by purchasing our PhytoLogica Tri-Pack, providing you with maximum flexibility and effectiveness by taking advantage of our three different bioavailable delivery forms - all for a discounted price. Perfect for individuals who prefer oral delivery, our PhytoLogica softgels are produced with patent-pending technology, giving you 400% better absorption than traditional capsules. Ingredients: Polysorbate 80, polysorbate 20, MCT oil, phytocannabinoid hemp extract, beta-caryophyllene, gelatin capsule. 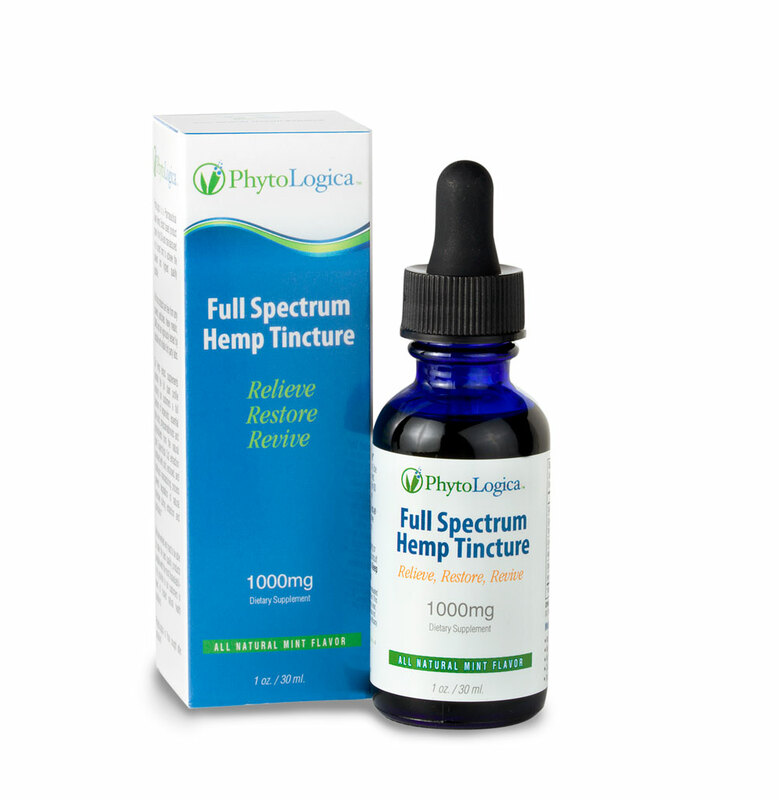 Benefit from increased absorption by administering our tincture formula below the tongue. The high number of capillaries provides rapid effectiveness into the bloodstream. Ingredients: Grape Seed Oil, Peppermint Oil, Stevia, Phytocannabinoid Hemp Extract. 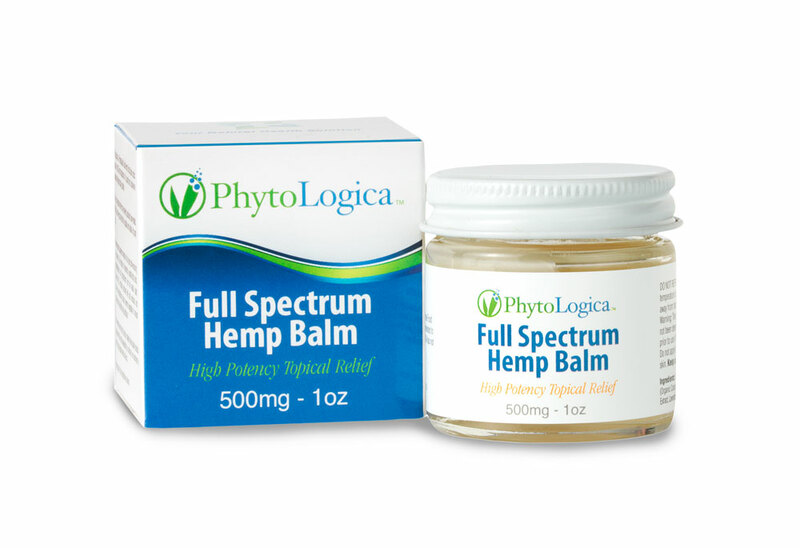 Our very potent balm, and one of the strongest hemp balm products on the marketplace, allows you direct high-potency topical relief to a targeted area.